A Complete Sign System - Do-It-Yourself! 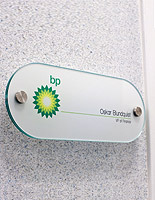 This directory sign, such as a door sign or name plate, is a complete sign system. Building signs that typically indicate room numbers or offices in a place of business often need to be changed at one time or another. 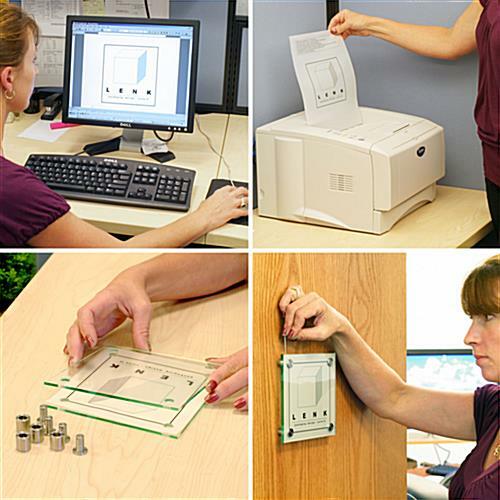 A directory sign brings this flexibility to you. 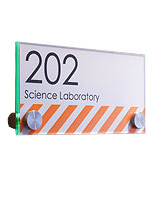 Create a visual sign system for offices, hospitals, universities, and more. 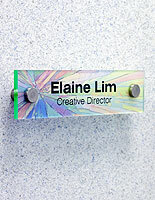 This door sign, directory sign comes with 2 types of printable film: Clear and Frosted. You have a choice of using either one and our door sign comes with (3) pre-scored sheets of each. 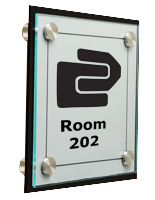 The directory sign is customizable with templates available for download below. 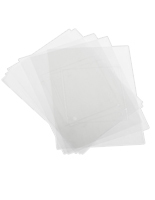 Carefully separate the 6" square from the sheet and mount between the panels onto your wall or door. The standoffs are bright stainless steel and come with screws and wall anchors to handle most mounting applications. 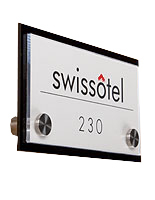 This sign tool is a perfect directory sign for creating and maintaining a sign system. 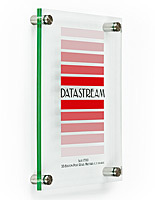 The green-edge acrylic plates give the appearance of real glass. 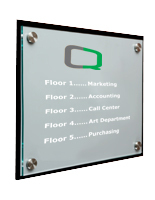 This directory sign, also called a wall sign, is a reasonably priced display. When compared to similar door sign packages our sign system comes out on top. 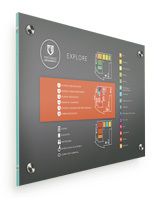 Buy a directory sign for your business today! 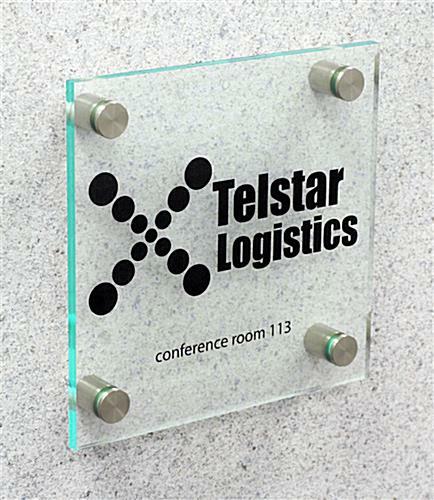 The 6x6 Door Sign was excellent quality and a wonderful product. i would highly recommend this product again and have ordered the same product style in various sizes. Marla, thank you so much for recommending our acrylic signs. We're proud of our in-house manufactured Workshop Series, and we're glad that you found these plates to be a high-quality signage solution. We hope you'll continue to turn to Displays2go for your business's display needs! Our office is trying to modernize a dated space. These signs have been a big help. I appreciate there are multiple sizes and shapes available for different types of rooms. Great value for the money. I used the clear option & it looks great; looks like glass not acrylic. Arrived quickly. Thanks for the great review, Donna! Thanks so much for shopping with us! DisplaysToGo has amazing customer service and went out of their way to re-send a lost package of frames. I deeply appreciate there hard work and dedication to happy customers! Looks great! Very easy to set up and install.